Nablus. Palestinian Territories. 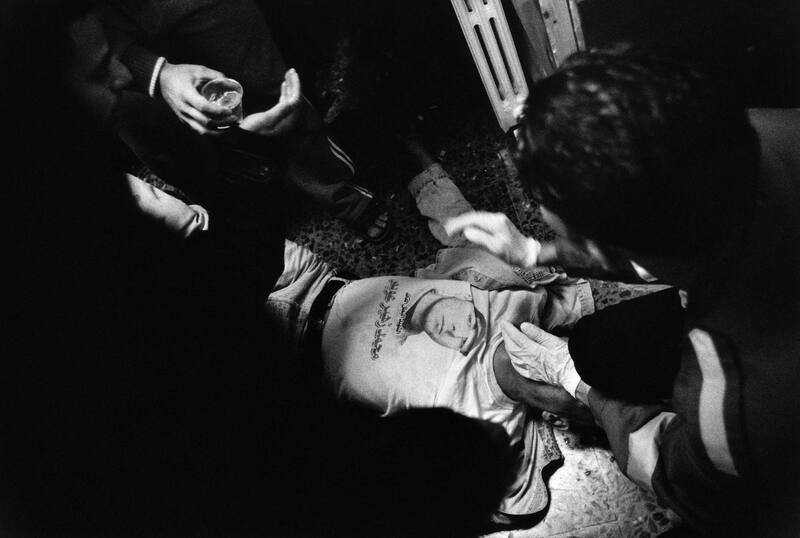 2004 A protester hit by Israeli fire is treated, wearing a t-shirt with the picture of a recent Palestinian killed in action.